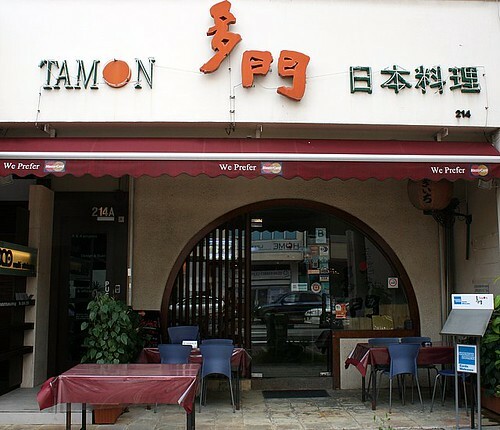 Tamon is an unpretentious Japanese eatery offering hearty, homestyle dishes at affordable prices. It has been around for 15 years in the Katong area, and that's no mean feat. Despite being surrounded by all sorts of eateries, it has managed to hold its own. It can be quite packed at lunchtime with Japanese expats and locals alike. Check out the affordable set lunches. 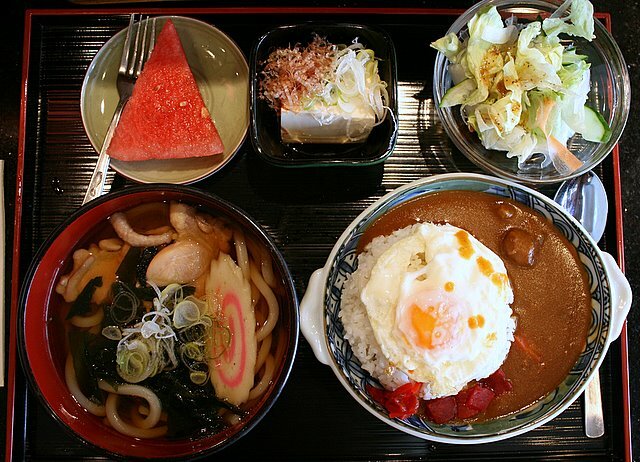 Their daily set lunch (S$14++) that day was curry rice with chicken udon. Hubby liked the curry (for this alone, he likes Tamon better than Wahiro). It was tasty without being too sweet. But the boiled chicken in the udon tasted a bit gamey. Udon firm but missing a certain bounce to the bite. 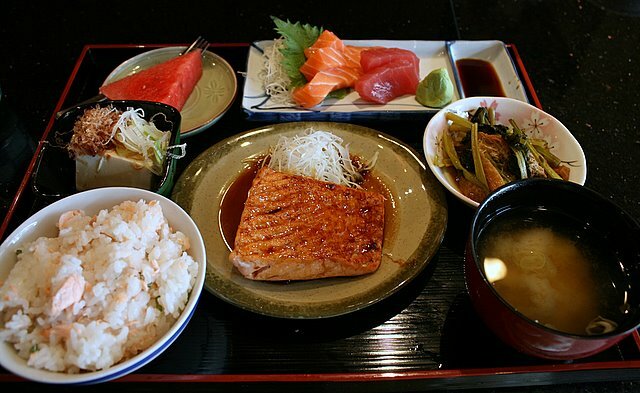 Sashimi and salmon teriyaki set lunch (S$20++). The sashimi was reasonably fresh and thankfully without sinews. 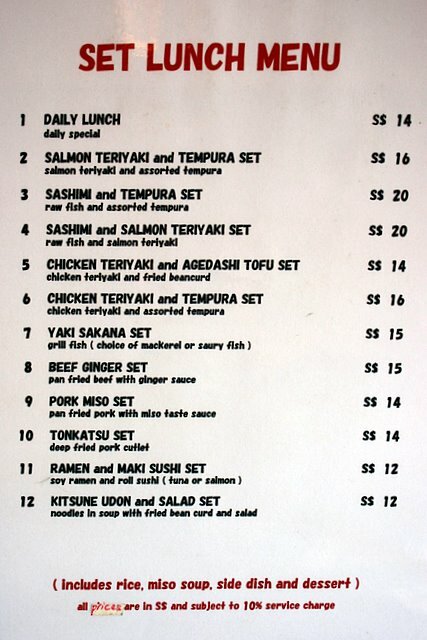 The teriyaki salmon seems more poached than grilled. Oh well, they didn't state how it was done. Interestingly, the rice is ume-flavoured and also has salmon flakes in it. Pity it was a bit soggy. The chye-sim appetiser I gave hubby. 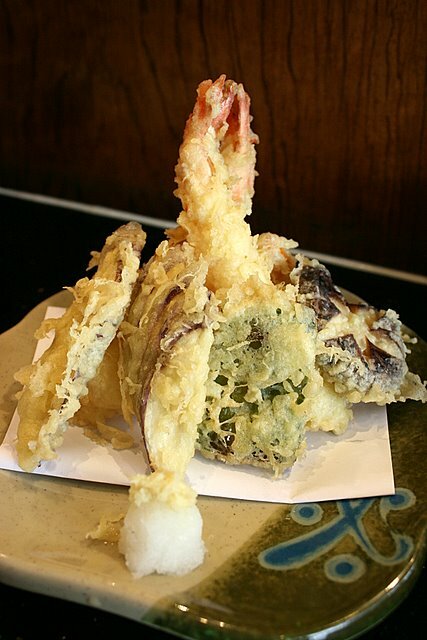 Freshly prepared Tempura Moriawase (S$13) a la carte. Mmmh, we enjoyed this. Nice and crisp batter. Tamon's rather humdrum facade is easy to miss. It sits slightly away from the busy road, but right next to the 328 Katong Laksa. Take note of its rather limited operating hours though. I went a couple of times and it was not open (public holiday, and lunch on weekends). I've passed by this many times on the way to astons. now i know what they serve! Hi I found this cool recipe for Artichoke-scrambled Eggs Benedict. 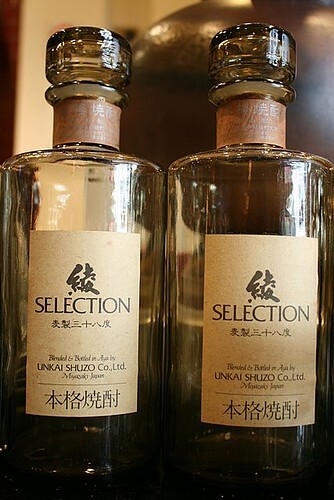 Has anyone ever tried it? Sounds good and I hope it is. Here is the link with the recipe and article. nice site to whoever created it. Wow...tks for the review! It seems like u and ur hubby really likes Jap food a lot. Haha. Shark's Fin Soup - To Eat or Not to Eat?